First Carry forward Chinese traditional virtues of loving each other and helping each other. Second Pass on friendly atmosphere of mutual help inside the entire company, narrowing the mental distance from each other and experiencing the warm of an extended family together. Third Cultivate and arouse staff’s responsibility and sense of loving care, in order to perfect corporate culture and promote harmonious development. First The Loving Care Group is composed of group leader and members. Now up to 80% of the whole personnel are our on-duty members.. All of them take turns to be on duty for the joint implementation of loving care activities. Second The group leader won't change if unnecessary. His/her responsibility is to arrange, plan, evaluate and carry out the whole loving care process. Third Every member takes his/her own turn to be on duty. The cycle is five members per week . Members on duty should promptly perceive the colleague who needs any loving care,then inform the leader, and implement appropriate love and care. Fourth Each member is responsible to communicate with the leader and excute the arranged loving care activities together, for allowing our colleagues to fully feel the warmth and the strength of the group. Fifth Loving Care Group in Golden View has their own special logo and member signs, symbolizing “Together in action and together in loving care”. First There are two kinds of activities: One is the loving care among in-house employees, including the caring for employees' health and the cash gift, greeting card or flowers for employees' birthday, marriage and so on; the other is outdoor activities that are organized at regular intervals, like playing ball games and climbing, to enrich staff’s leisure lives. Second The on-duty team should perceive the colleague who needs help in time, for instance, catching a cold, fever or any other malaise, or the colleague whose birthday is approaching, to arrange and carry out the loving care plan immediately. Third Inform the leader after perceiving, then plan and organize that loving care proceeding under the condition of comprehending the issue. Fourth The on-duty team should carry out the entire loving care proceeding, send the signal of loving care and put the loving care proceeding into practice. Fifth　Regularly observe the loving cared if they are with or without signs of improvement, then carry out and evaluate that proceeding according to actual circumstance. Sixth Conclude that loving care proceeding, and finish the work of evaluation and recording. First The group member should have a strong sense of responsibility and love, and the benevolence and enthusiasm of serving others. Second　The group member should hold a strong sense of service and the capability of offering thorough, satisfactory service. 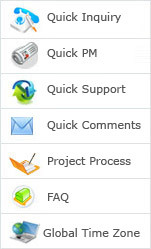 Third Anyone could report or complain to the Loving Care Group if there is any discontentment or opinion, helping continuously improve the quality of the service. Fourth The Loving Care Group always devotes to providing thoughtful and useful service. Regardless the size and the quantity, all the love and care contributed is sincere. 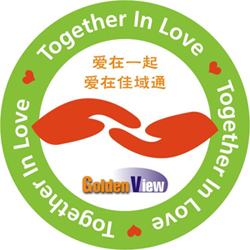 Fifth The implementation of loving care activities from Golden View needs cooperation of all the staff. The loving care group, which is a dedicated team and brings warmth, hope to receive the cooperation and the support from every staff.